Each Gnosis recipe is designed to perform in both flavor and function. Some feature the rich simplicity of smooth dark chocolate, while others carry a kick of spice, chill of mint, or pinch of salt. Find abundance in bars laden with ripe superfruits, and crunchy nuts and seeds. 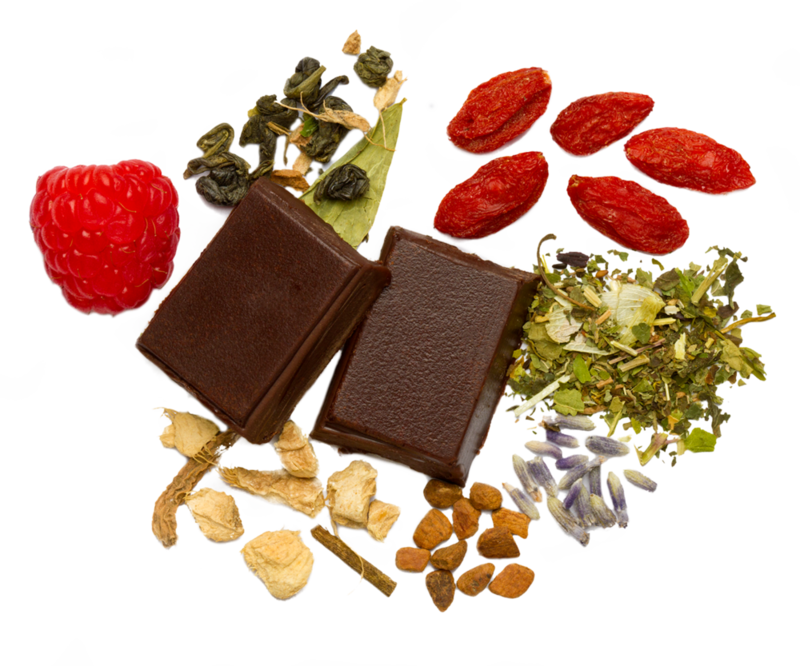 Our most unique bars contain integrative formulations of functional herbs from Ayurvedic, Chinese, and South & Native American medicines - alchemical blends to empower your health and vitality! All bars are made with raw, organic, vegan, kosher and free of GMO, refined sugar, dairy, soy,gluten, & peanuts. Please allow up to 1 week for made-to-order-by-hand small-batches-filled-with love production!